Fourth edition of the “Rencontres du financement de l’économie” (Financing of the economy conference) : the possible evolution of monetary policy and interest rate policy and the consequences on the economy and on banks. 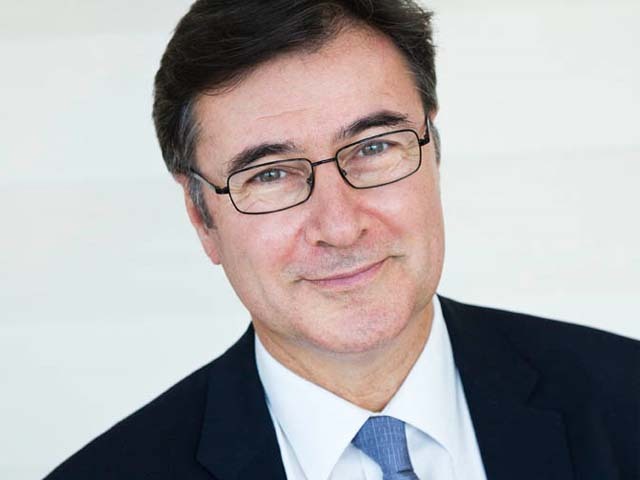 Transcription of the speech by Olivier Klein, CEO of the BRED Group, Professor of Economy and Finance at the HEC business school, following that of Mr Michel Sapin, Minister of the Economy at the opening session of the “Rencontres du financement de l’Economie” (Financing of the Economy conference), 28 March 2017. Whereas the Euro Zone is at a crossroads and the governments of the member states are taking a close look at the way it works, Olivier Klein takes a look here at the possible evolution of monetary and interest rate policy in this context. The possible evolution of monetary policy and interest rate policy and the consequences on the economy and the banks. Are interest rates going to rise and what are the fundamentals which would justify it? What are the effects of the low interest rates on the economy and on the capacity to finance the banks? An initial, rather general but fundamental thought: the very low interest rates are not a phenomenon due exclusively to the central banks. It can be seen that growth has started again, both in the United States and in Europe. This is good news. This will probably drive internet rates up. But since the financial crisis we have seen a period of very low growth with a global overproduction crisis, which has led to very sluggish supply and demand. Clearly low demand and a high level of saving combined with low investment are the manifestation of global overproduction. Similarly, low gains in productivity and declining global demographics – apart from in India and in Africa – are keeping supply sluggish. The simultaneity of sluggish demand and supply has resulted in very low growth rates and naturally reduces interest rates. If the markets were working well and if the economy spontaneously self-regulated, interest rates would return to so-called natural levels. In economic theory these natural rates are those which equalise saving and investment at a level of full employment. It just happens that this is a rate which cannot be observed, it is a rate calculated by economists. And these calculations lead to extremely low interest rates. Sometimes it is even calculated that these rates should have been negative to equalise demand and supply, i.e. savings and investment, at a level of full employment. Particularly in the eurozone. It can thus clearly be seen that it is not only the central bank which is pushing interest rates down. This leads us to think that not so long ago we were in a period of secular stagnation, the effects and reasons of which we all know, in other words, at least since the crisis, a classic period of debt reduction with very low growth, which occurs after all the major over-indebtedness crises, such as that we witnessed from 2007 onwards. Both are possible at the same time, at least temporarily. In both cases this justifies extremely low interest rates. To these considerations must be added the fact that the brutal financial crisis we have witnessed has brought us into a period of major deflagration with a very high risk of deflation. To fight against this deflation the central banks have pursued extremely aggressive but necessary policies. All the major central banks have acted by reducing interest rates even further than the markets pushed them to, in other words below neutral levels. As we know, the neutral level is equal to the actual growth rate plus the inflation rate, thus to the nominal growth rate. When interest rates are pushed below neutral rates this is done because we want to reinvigorate growth by pushing inflation up again – and thus avoid deflation – and, of course, in order to limit the risks of an over-indebtedness crisis to prevent the “snowball” effects on debt due to nominal interest rates above the nominal growth rate. When there is extremely low growth and virtual nil inflation we face the zero lower bound. Monetary policy and self-regulation of the economy are thus constrained in principle by the impossibility of bringing interest rates below zero, whereas they should be to rebalance supply and demand at full employment level. In France, for example, the banks cannot propose deposits at negative interest rates, except to major institutional clients. We are limited to this zero rate. It can clearly be seen that this may be a trap for a lasting situation of under-balance. If interest rates cannot fall sufficiently low, the consequence may thus be to remain in a situation of under-balance, of under-production, with lasting under-employment and with a persistent risk of deflation. With interest rates which, although very low, no longer have enough spring to rise back, because they should be even lower. If we now return to the effects on the economy of the very low rates, they are well known. In principle they drive growth back up by an in initial effect, the stimulation of consumption and investment and the reduction of the attractiveness of saving. The second effect is the wealth effect. The drop in interest rates drives the price of wealth assets up, be it property or shares, which in turn bolsters consumption and investment for both households and companies. In 2007 debt levels of private agents in the most advanced countries reached extremely high levels. This over-indebtedness crisis, which is the fundamental reason behind the financial crisis we witnessed in 2007-2009 led to an over-indebtedness crisis for countries. From 2008-2009 onwards countries ran up high levels of debt to meet this financial and economic crisis. This led a certain number of countries to situations of over-indebtedness, thus joining the situation of the private players. This naturally led, as always in financial history, to great periods of painful debt reduction which potentially asphyxiate growth. The effect of very low interest rates, lower than the neutral interest rates, enables these periods of debt reduction to be facilitated. As previously mentioned, this enables the well-known “snowball” crises to be avoided. If interest rates are above neutral rates and if there is a high level of debt, debt snowballs because the debt interest must be financed by increasing the debt itself. Conversely, if we have interest rates below neutral rates debt can be reduced less painfully. Obviously this is what the central banks have done by greatly reducing their short interest rates, down to zero. This is usual in monetary policy. The new feature by the central banks was to bring certain short interest rates below zero to avoid the zero lower bound. The ECB initiated a policy of negative interest rates on bank deposits at the central bank. We are at -0.40% today. If the ECB did it, it is probably because the natural interest rate in the eurozone is negative. It is also obviously a way of encouraging the banks not to hold on to cash reserves at the central bank but rather to use them to grant more loans. This is indeed what happened, moreover. The banks considered that it was better to grant loans, even at 1.50%, rather than lose -0.40% leaving cash in the central bank. This meant a differential of 1.90%. All the banks were therefore encouraged to grant more loans. And this pushed interest rates down again since the credit offer increased and competition between the banks was thus fiercer. So the banks lent more, within an intelligent central bank policy, even if it is not very usual and even if, obviously, it involved risks. Moreover, as in the United States, but later, the ECB took more radical measures in the shape of quantitative easing, in other words developing its own bank balance by directly buying public and private debts. In reality this involved giving itself the means to control long interest rates, too, whereas the traditional practice of the central banks is to control the short rates. It had to control long rates to bring them to rates which were compatible, in particular, with the budgetary solvency trajectory of the nations. Between 2010 and 2012 we entered a major crisis in the eurozone, a highly risky period since a contagious defiance had set in where we had the following catastrophic dynamic: fear as to the solvency of the public debt which pushed interest rates on public debt upwards, which in turn reinforced the insolvency risk. The extraordinarily welcome policy of Mario Draghi was to initiate quantitative easing to reduce countries’ long interest rates, ending the vicious circles. Without this the eurozone would probably have exploded. His famous “whatever it takes” was a salvation. We well know that quantitative easing has consequences on foreign exchange. The foreign exchange level may, however, under certain conditions, help increase the level of growth. There have been attempts to reduce the dollar or reduce the euro, etc. by the central banks concerned, via quantitative easing policies. The question we are asking ourselves here, today, is how long can the very low, or even negative, rates continue and have we definitively moved into a phase of increased interest rates? And if the answer is positive, at what speed will this increase occur? At the peak of the crisis in 2008-2009 I was persuaded that the very low long interest rates would be lasting. I wasn’t totally wrong as we are in 2017 and they are still extremely low. For me they were lasting due to the context and the reasons I just explained. Why might we change our paradigm now and think that the rates may rise again? I said it earlier. Firstly, because there is a return to growth and nominal interest rates are quite strongly determined by the nominal growth rate. With the nominal growth rate rising all over the world, this is a good reason to think that interest rates must rise. In other words there are brakes and problems that may ensure extremely low or even negative interest rates may last a long time. The first brake is that the very low long rates policy may not work. It is not enough to reduce interest rates to encourage companies and households to borrow. This was indeed the case in France in 2014, when interest rates fell sharply. Lending did not return to growth straight away, and this was not attributable to the banks, which would have liked to grant more loans. There was simply a problem of demand for credit, because everyone was in a sort of depression where nobody wanted to borrow more. Finally, at the end of 2014 and in 2015 growth in the loan mass was seen in France, due to the very low interest rate policy. This brake no longer exists, therefore, since we have demand for credit which is, in our opinion, insufficient, but in any case at a good level. In parallel, in principle, very low interest rates discourage saving. But interest rates must be compared to inflation. We have very low interest rates but also very low inflation. Overall savers have not been badly treated, at any rate less than in the years where interest rates were much higher than today but lower than inflation rates. But there is a psychological effect to having very low interest rates. Many households consider that they are not managing to constitute gradually the savings they would like to have when they retire because interest is not high enough to capitalise at a sufficient level to reach these amounts; they will possibly save more and consume less to ensure themselves the levels they want later. In this case, the effect of very low interest rates may be exactly the contrary of what is expected according to traditional economic theory. Today the effect is not clear-cut. We can clearly see that the very low interest rates have not significantly discouraged saving. But this effect may occur sooner or later. The third brake on very low interest rate monetary policy is that the wealth effects, which are strong in the United States, are less strong in Europe, notably because the composition of household savings financial portfolios is not the same at all. It is based far less on shares. It is composed more of money market products and property, etc. Thus, the wealth effects are much less evident econometrically across Europe. Two risks must also be taken into consideration. The first is to see the return of speculative bubbles. As interest rates are very low, it is easy to borrow to become a buyer on the wealth assets market. This could lead to the development of bubbles. Today, and at least a few months ago, we could not really see signs of a bubble. No property bubble is apparent in Europe. Nor is there a clear bubble on the stock market, at least in Europe, even if, in the United States, I am not at all sure that certain sectors are not already overvalued. This risk, although not yet proven, nonetheless exists, especially if such a situation regarding interest rates were to continue further. It can also be seen that institutional players are having difficulty in meeting the yield obligations they may have, whether it be pension funds, health mutual insurers or investment funds. The buying of much more risky assets than those made previously is also starting to be seen. As everything which presents little risk has a virtually negative return, a trend towards much more risky assets can be seen. The next change in the economic environment and market may result in loan and bond defaults. In short, more fragile balance sheets. There is also a risk on the banks. We well understand that they need an interest rate slope to ensure profit margins. Why? Because, basically, they borrow money from depositors at interest rates linked to short interest rates and they predominantly lend at long fixed rates. A drop in interest rates during the transition period is not, in general, good for the banks. But after the transition the banks should be able to restore their margins. If we were, before the transition phase, at a 5% credit rate on average on stock and at a 2.50% rate on deposits, for example, and if we return, after transition, to 2.50% and zero respectively, the bank’s margin rate is indeed reconstituted. Since today all the long and short rates are all around zero, the credit rates on stock are falling incessantly in banks’ assets and the deposit interest rates can practically fall no more since they are practically at zero and they cannot become negative. We are faced with the zero lower bound phenomenon. And this is leading the commercial banks in France to see their margin rates, and thus their income, fall inexorably. But there are other effects that the central bank highlights, and rightly so. According to it, because interest rates are low, the credit volume may bounce back up. That’s true. As I said, from the end of 2014-2015 onwards, that’s what has happened in France. We have seen a positive volume effect on loans which has enabled the negative interest rate on commercial bank net interest margins to be compensated. This was exactly the case in 2015. In 2015 half the commercial banks in France had a net interest margin which fell slightly, the other half which increased slightly and, in total, the banks saw an aggregate net interest margin which was unchanged. This was no longer the case at all in 2016. In commercial banking in France in 2015, Net Banking Income did rise by 1.8 %, because the volume effect compensated the interest rate effect, as we have just seen, and commission rose slightly. But in 2016 NBI fell by 4% on average because the volume effect was less than the cumulative interest rate effect, despite the increase in commission. Even if interest rates are now stagnating, or even if they rise very slightly, the drop in the stock interest rate due to the natural repayment of old loans or renegotiations, or early repayments, would lead to a falling interest rate on stock. The commercial banks are thus entering very troubled waters. The European Central Bank replies, rightly, that thanks to the fact that interest rates are very low, which has also reinvigorated the economy and French and European growth somewhat, the cost of the credit risk has also fallen. It is right. In 2015, commercial banks in France saw the credit risk cost fall by 12.2%. In 2016, it fell by 14.2%. So, if I now take the NBI variation less the credit cost variation to analyse the overall effect, what do we see? For all the commercial banks in France, in 2015, a net positive effect of +3%; but in 2016, a negative effect of -3.3%. In other words, the drop in the cost of loans in 2016 was not sufficient to compensate the fall in NBI caused by the interest rate effect. Also, the fall in the cost of risk cannot be lasting. The effect of the falling credit stock interest rate is lasting, however. The fall in the cost of risk is not lasting, in fact, since a mere slowdown in the economy would drive this cost upwards. We cannot wager on that compensating lower NBIs in the long term. The question which can be raised is, fundamentally, whether this very low or even negative interest rate policy in Europe is desirable or not. Certain economists say that it was and is very dangerous. I do not share this judgement. I think it was perfectly desirable and that the favourable effects, as the ECB rightly says, have far outweighed the risks taken. The risks it took had to be taken, because the risks which would have existed if it had not carried out this monetary policy would have been far greater: deflation, prolonged stagnation, etc. Where does that leave us today? Firstly, it must be acknowledged that the return to growth in many parts of the world legitimises an increase in interest rates, as we said earlier. The Fed is pushing them slowly upwards, but with fresh uncertainty over Donald Trump’s policy and its possible consequences for the American economy. The dollar rose but is now falling again. It can clearly be seen that the markets are uncertain regarding the success of the Trump policy or, on the other hand, the problems it may cause. And then the Fed is increasingly sensitive, rightly in my opinion, to the effect of an increase in interest rates in the United States on emerging countries. To a certain extent, it is the Fed which defines the monetary policy of emerging countries which very often have currencies linked to the dollar. It can clearly be seen that if the Fed increases its interest rates too quickly, it will partially cut the financing of emerging countries. It is a classic effect which means that when interest rates are very low in the United States, stakeholders borrow dollars there to invest them in emerging countries which have far higher growth rates and thus far higher interest rates, thus benefitting from a highly favourable transfer. If interest rates rise in the United States the money will be withdrawn from the emerging countries and return to the United States. This can, then, create profound crises in the emerging countries, as we saw a little over a year ago, when the Fed increased or threatened to increase its interest rates. So the Fed will be prudent in increasing its interest rates, I am certain, being very conscious of these two phenomena. As for the ECB, I think it understands the challenges very well and that it has manifestly acted well until now. It must nevertheless face up to several new phenomena. The first is that the effect of the low interest rates is starting to fade and even become dangerous, as stated earlier. I took the example of France but it is also true elsewhere and the French banks are among the most solvent. They are in excellent health compared with Germany or Italy. But you can see that even the French banks are affected in their commercial banking business in France. At the same time, let’s not forget that we are asking the banks to increase their solvency ratios very significantly. In general, since Basel III, they have been asked to double their so-called “hard” equity. It is difficult, however, to ask the banks to greatly increase their solvency ratios, and thus their equity, at the same time as reducing their profits. Growth must not, for example, take off again more strongly while the banks are caught in a trap, unable to sufficiently follow the excess credit demand which would result from this. Fundamentally we clearly understand that the ECB thus initiated this policy – even if it does not say so – to facilitate the budgetary solvency trajectories of the various eurozone countries, as we have observed. In reality it has bought some time. The ECB “deal” is clear. It is carrying out an extremely low interest rate policy pending two things from the nations. The first is that they carry out the structural reforms necessary to increase their growth potential and reduce their structural deficit, thus facilitating their future budgetary trajectory by protecting their solvency. The second is that they constitute the institutional conditions of a viable eurozone. We know today that the incompleteness of the eurozone is manifest in terms of institutional arrangements, in other words the ability to make the zone work without it necessarily always being up to the countries doing least well to incur the cost of the necessary adjustment, with the consequences on votes that we know. The ECB is saying to the member states: “Quickly organise the eurozone a little better”. The problem we face today and which leads me to question the increase in interest rates in the eurozone, is that the countries which should have done so have not done this work. The structural policies have virtually not been carried through where they were necessary. This started in Italy but was stopped following the failed referendum. In France we have not done much. There will be no capacity for exiting the dangerous solvency areas of the countries concerned if there are not, on the one hand, these structural policy efforts and, on the other, the completion of a more complete, better regulated eurozone which works better, in other words less asymmetrically. The Germans, however, severely criticise the ECB’s monetary policy which is not necessarily favourable to them. They have a higher growth rate; they therefore do not need such low interest rates. Furthermore, these rates reduce the return on Germans’ savings who, as we know, have a much older population. They thus need a higher return on their savings, even more so for institutional investors who had, in the past, sold annuities at fixed rates. The head of the ECB is not wavering from his policy. As for the Germans, they are obsessed with the question of the moral hazard, insofar as they do not want the solidarity factors necessary to the eurozone. They refuse, and this can be understood, to be the only ones to pay for everyone if the others do not make their structural reforms, thus finding themselves sooner or later in a situation of being dependent on Germany in the long term. Exiting low interest rate policies is therefore conditioned by the fact that France in particular is carrying out structural reforms which reassure the Germans who would thus accept a much better institutional arrangement for the running of the eurozone, with intra-zone solidarity factors so that the cost of the adjustments does not weigh on the weakest countries. This is where we currently stand. The European Central Bank, it seems to me, is going to exit negative short rates sooner or later because this position is becoming difficult to maintain today. But exiting a very low interest rate situation will depend fundamentally on the capacity of countries to carry out their own reforms and simultaneously integrate the reforms of the eurozone necessary for its future. In 2019 when Mario Draghi’s term of office ends, everything will depend on the relative strength of the countries and on their respective abilities to be heard, in other words to have triggered the structural policies sufficient to be credible. This credibility of the major countries conditions the possibility of increasing the viability of the eurozone, by developing several federalist elements, such as the mutualisation of part of the sovereign debts or tax transfer elements, as exists between states in the United States. To support temporarily those going through asymmetric troubles, without asking them to act only by austerity measures. Which would enable interest rates to be increased much more easily. If we increase them significantly without having done that the intrinsic risk of the eurozone is increased. If we don’t raise them, the risks of a very low interest rate policy described earlier will become increasingly strong, whereas growth is beginning to rise again, along with, to a limited extent, inflation. Without thinking of a significant rise, what is most likely, in my opinion, is that we shall, at least, see a moderate increase in interest rates from the end of 2017 or early 2018. Short interest rates could come back from their negative territory towards zero. And long interest rates could be managed towards neutrality by the central bank, in other words between 2 and 2.5%. This would be compatible with the level of growth and inflation that we can currently anticipate. This moderate increase will stop facilitating countries’ debt reduction, without, however, propelling them into a snowball effect.